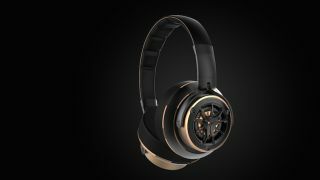 1more introduces new H1707 over-ear headphones | What Hi-Fi? 1more's latest pair of cans are really stressing their high-res credentials. Named H1707 (not the snappiest of monikers), the headphones have a claimed frequency range of 20Hz - 40kHz, so will be able to comfortably handle your high-resolution audio files. The business of reproducing that frequency range is handled by a 40mm driver (paired with a bass reflex unit) in each earcup. The company says it's utilised "aerospace grade materials" and has used oxygen-free copper in a drive for the optimum listening experience. The headphones fold down into the included carry-case, making them easier to take out and about. Priced at £200, the H1707s are available now.